"no matter what is our religion. we are all Egyptian! we must protect our friends!" 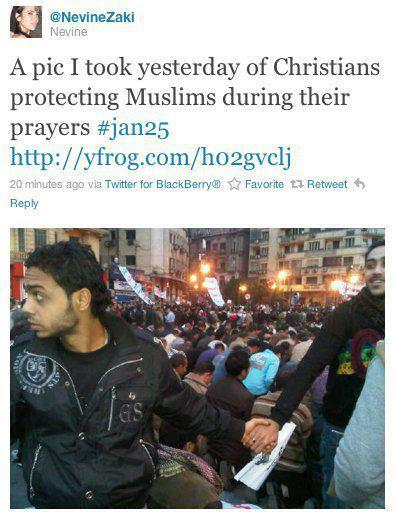 I think, that was what the Christians were saying while protecting their Muslim friends. If all of us have a mindset like them, this world would be a better place for you and for me. Religion and race must not defer us. We must unite together to protect our security and living peacefully.